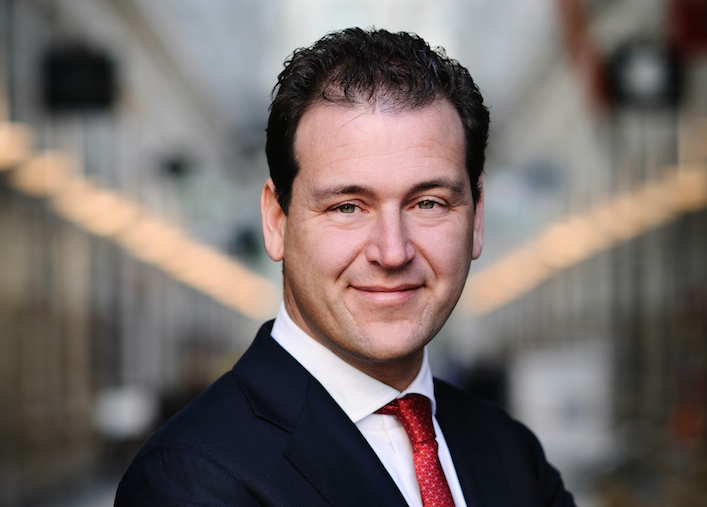 The one lesson to be learned from Brexit and Trump is that ignoring real injustice comes at a price, says social affairs minister and Labour leadership contender Lodewijk Asscher. The results of the US elections will be scrutinised for a long time to come but one thing is clear: the left must never again humiliate or disregard voters. Clinton’s ‘basket of deplorables’ was more than just a slip of the tongue. What it showed was a an unwillingness to understand why people are angry or frightened. It is wrong to talk only of a sense of discontent. In many cases there is real injustice: labour migration leads to lower wages. Unfair competition leads to insecure contracts. Globalisation wipes out entire professions. The people at the top of the tree are getting richer and the middle groups are left behind. If that is the daily injustice people experience and there is no credible alternative to vote for, they are cornered. And if progressive parties limit themselves to an explanation of the status quo they become part of the problem. All that is left then is the emergency brake: a Brexit. A wall. A vote for Trump. Right-wing populists meanwhile are adding their own grudges to the mix. Scapegoating politics is putting an acceptable gloss on intolerance. Open enthusiasm for Trump expressed by the Klu Klux Klan passes without being challenged. Add to that the constant stereotyping of minorities and the people will no longer judge each other as individuals but only as a representative of a creed or race. The dark side of the Trump campaign did not stop a number of those who voted for Obama to now vote for Trump. For them economic injustice prevailed, and the wish to be proud of their own community once again. The awful consequence is that for the first time in years minorities in the US are afraid for their futures. Our conclusion must be that, apart from economic justice, pride and identity form an essential part of feeling at home in a community. It might be post-modern progressive to neglect this but that would be to deny that it is a basic human need to belong and be heard. A new sense of pride is needed and possible. The Netherlands differs from the US in that it has a much better social safety net and that income disparity is smaller. But not everyone has the same opportunities and insecurity about the future is increasing here too. The country is changing and solidarity is no longer a given. VVD and PVV are using this to their advantage and the left has so far failed to come up with a convincing response. That is why change is necessary and why I want to become the next leader of the Labour Party. But can Labour guarantee change after having formed a government with the VVD for the last four years? Of course it can! During my time as minister I have moved a number of ideological goalposts: the glorification of flex work was stopped, fake constructions and unfair competition caused by misguided European rules were halted, the minimum wage for youngsters went up and cleaners were given fixed contracts again. I am also proud of the fact that I have been able, with the help of the unions, to undo the brutal shortening of unemployment benefit period and the implementation of a more flexible dismissal law. We can’t keep going back to the government accord over and over. Yes, we can be proud of the stability we brought to the government. But credible change can only come about by admitting that some of the compromises had to be made but were not necessarily Labour policy. By admitting that a quick rise in the pension age wasn’t an ideal choice, and neither were the precipitate cutbacks on home care. The VVD is now distancing itself from the cabinet as quickly as its ideological legs will carry it. The VVD manifesto is all about defending the interests of big business. For workers it holds nothing but insecurity as making people redundant will become easier. It’s a cynical betrayal of the middle groups. I choose a different course. Optimism for all means opportunities for all. And for that we need fairer ground rules. That means a complete stop to labour migration which is nothing more than wage competition by another name. During the Brexit negotiations the Netherlands must insist on more autonomy on labour migration. It also means a ban on trade agreements like TTIP as long as these don’t put the position of workers first, and a fairer tax system so multinationals can no longer avoid paying their share. Workers need more security. Top salaries must be limited and workers must have a greater say. I call for an end to zero hour contracts, equal rights for payroll workers and breaks for small employers when it comes to sick pay. We also need to create new jobs. There are plenty of opportunities, one of which is to make social housing energy neutral. Freeing up money for such a scheme will result in thousands of jobs as will investment in caretakers and teaching assistants and public transport monitors. The Labour Party must also be the party which will tackle work stress, promote parental leave and care leave, and strive for fewer staff changes in care homes. When Wilders says ‘let’s make the Netherlands great again’ and the VVD ‘let Netherlands remain the Netherlands, the left mustn’t let itself be elbowed from the stage. The Netherlands must be allowed to become the Netherlands, a country of which every inhabitant can be proud. A country that stays the same by moving with the times. I call it progressive patriotism: proud of the Netherlands but against racism and exclusion.